The Amendment Bill being pushed by the Asset Management Corporation of Nigeria (AMCON) to aid its debt recovery process got a lift on Tuesday as the bill will soon be presented before the lawmakers for third reading. The Amendment Bill, which seeks to empower AMCON to deliver on its debt recovery mandate, will help nullify series of lawsuits filed against the corporation to frustrate its recovery efforts. Efforts to empower AMCON in its debt recovery mission have previously been tough, as a result of lawsuits by chronic debtors to frustrate the efforts of the corporation in the recovery of Non-Performing Loans (NPLs). AMCON Managing Director/Chief Executive Officer, Mr. Ahmed Lawan Kuru, had approached the Federal High Court in September for assistance in recovering over N5.4 trillion Non-Performing Loans (NPLs). Hon. Jones Chukwudi Onyereri, the Chairman, House of Representatives Committee on Banking and Currency, on Tuesday in Abuja, said the bill will be presented to the House in approximately two (2) weeks time. “We have thoroughly reviewed the 2018 budget performance of the corporation vis-à-vis what was approved for them. The committee is satisfied with the performance, which would also help the committee make projections and also provide guidance as the case may be against their 2019 budget,” said Hon. Jones Chukwudi Onyereri. Following the presentation of the AMCON 2018 budget performance by the Managing Director/Chief Executive Officer of AMCON, the House reaffirmed its commitment in facilitating the corporation’s recovery of its huge outstanding from chronic debtors. Speaking further, Hon. Jones Onyereri noted that AMCON would need the moral support of other government agencies to facilitate the recovery of its outstanding debts of over N5.4 trillion. Again, that the bill would be presented to the Senate for final deliberations and approval after the third reading in the Lower House. 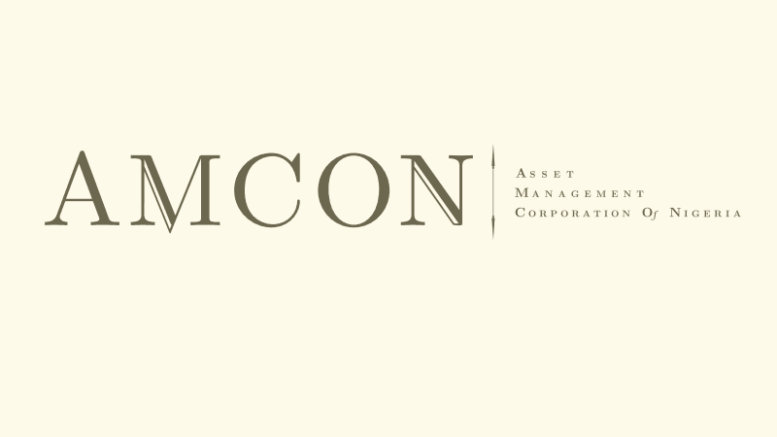 The Managing Director/Chief Executive Office, AMCON, assured the lawmakers that AMCON’s management will remain steadfast in the corporation’s mission of recovering Non-Performing Loans (NPLs) disbursed by financial institutions to their customers. Be the first to comment on "AMCON: Reps To Finalize Amendment Bill Soon"